Online shopping isn’t something I was the biggest fan of before. I’m the girl who likes walking in the store and sifting through the racks to get outfit ideas. 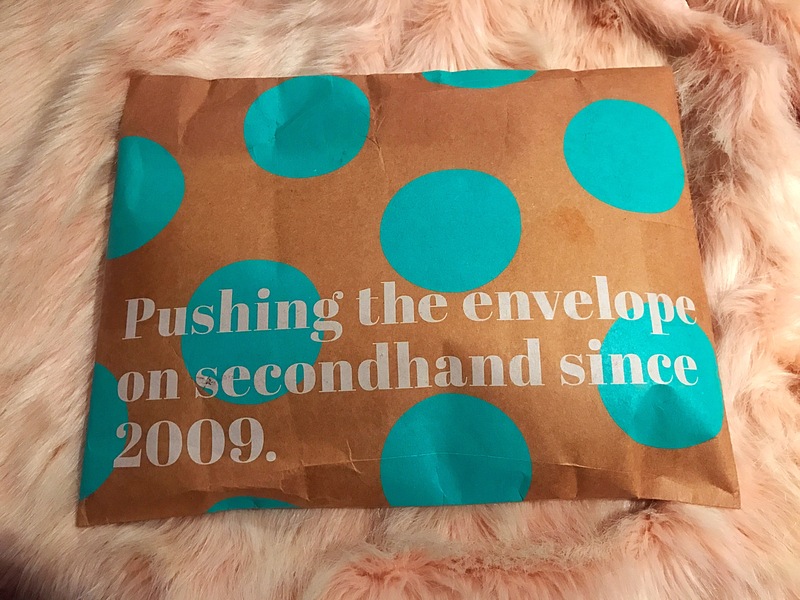 As of recently all that has changed since coming across ThredUp. 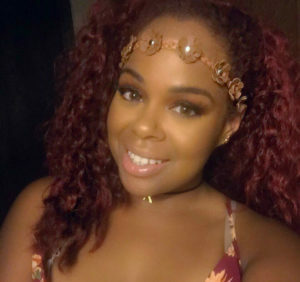 Its like from the moment I went on the site I was sucked into searching the category of “Women’s Dresses” and seeing how low the prices are for like-new or even “new with tags” items for me to become a fan. Many of y’all know I’m a huge consignment shopper, so finding a store online that’s sells consignment for such affordable prices was like hitting the jackpot. 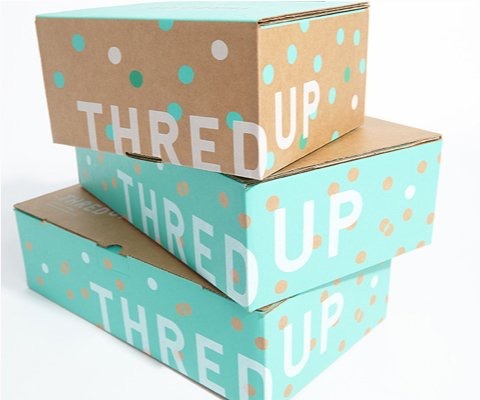 ThredUP is the largest online consignment store offering high-quality clothing and accessories for women and kids . ThredUP carries top name brands and designers for up to 90% off retail price. The stock varies from day-to-day. 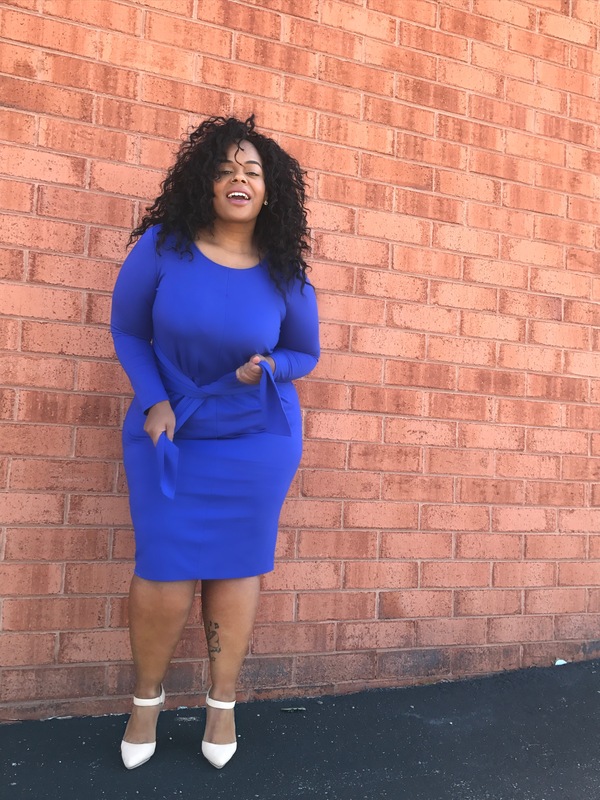 So even if nothing looks cute today, it might look cute tomorrow.The size range starts at 00 and goes all the way up to a plus size 32. 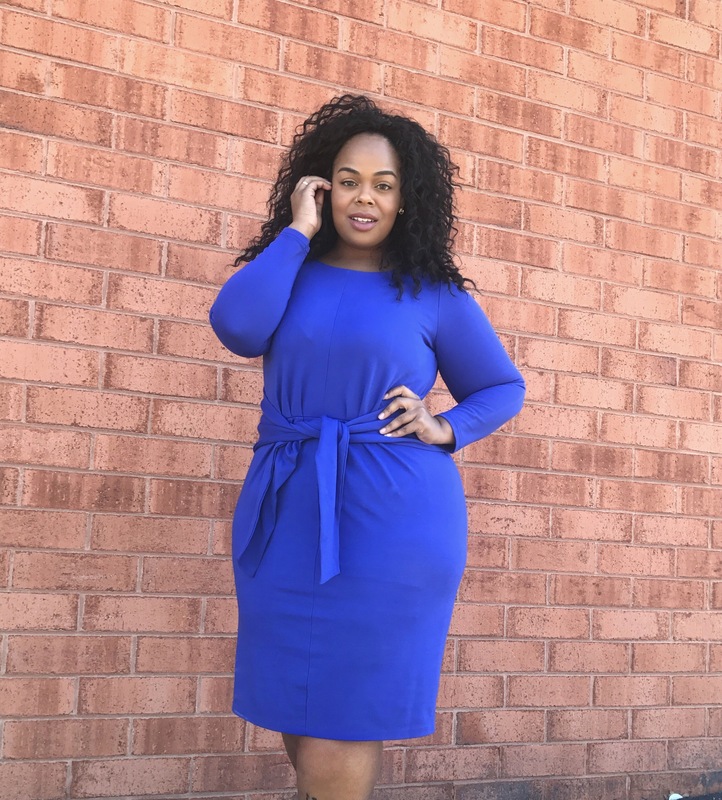 There is literally something for every body type and shape to make shopping a breeze. While I was browsing the site, I could really tell they were thinking about the consumer when they decided how to organize the online store. You can search by specific categories, and you can even search just by brand. Some folks aren’t to thrilled of walking into consignment stores due to the huge racks of clothes to sift through, Well there’s none of that stress while shopping on ThredUP. Seeing as the fashion is always changing, I don’t like to always pay top dollar for something that may go out of season in a few months. With ThredUp I’m able to shop without breaking the bank. 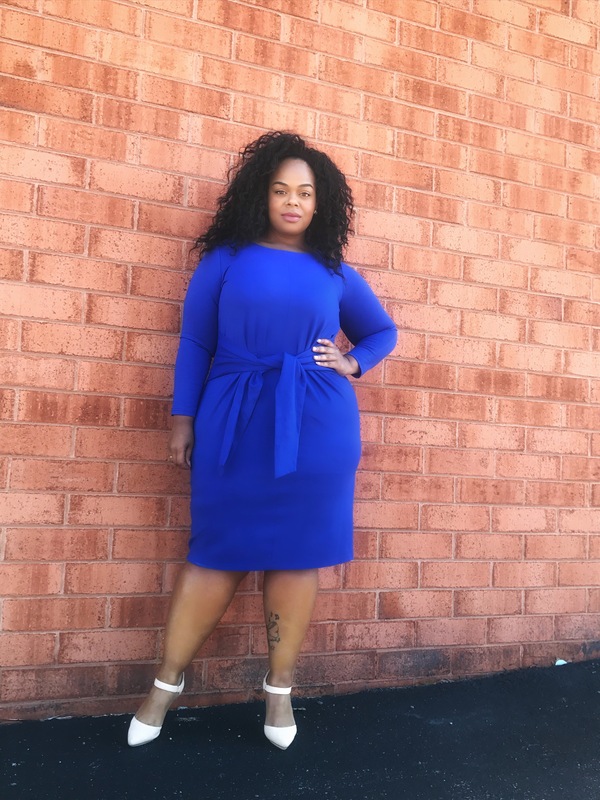 While browsing on the site I came across a wonderful blue dress which was formally sold on Eloquii from a few seasons back. I remember wanting to buy it back then, but the price tag just wasn’t in my budget at the time. 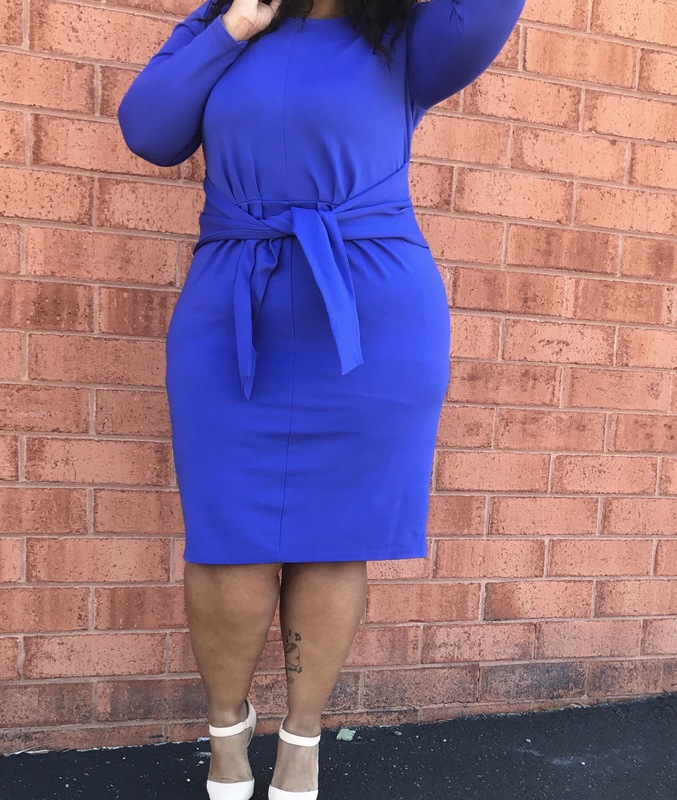 Thanks to ThredUP I was able to purchase that same dress I wanted, and only payed a fraction of the original price. My dress came delivered in the signature ThredUP box wrapped in tissue paper ready to be styled. Even though the dress had been previously used, I couldn’t tell it had a previous owner at all. I love my dress even more now because I got it for such a steal and it’s still very trendy. Sadly my dress was the only one available but i’m sure y’all can find more just like it Here. So if your anything like me and love the idea of thrifting, but don’t really want to tackle the rack then I say give ThredUP a try. Who knows maybe you’ll see something you want to add to your closet that you have been holding back on. Only thing I recommend is if you like it buy it! The item you love may not be available next time you log on. 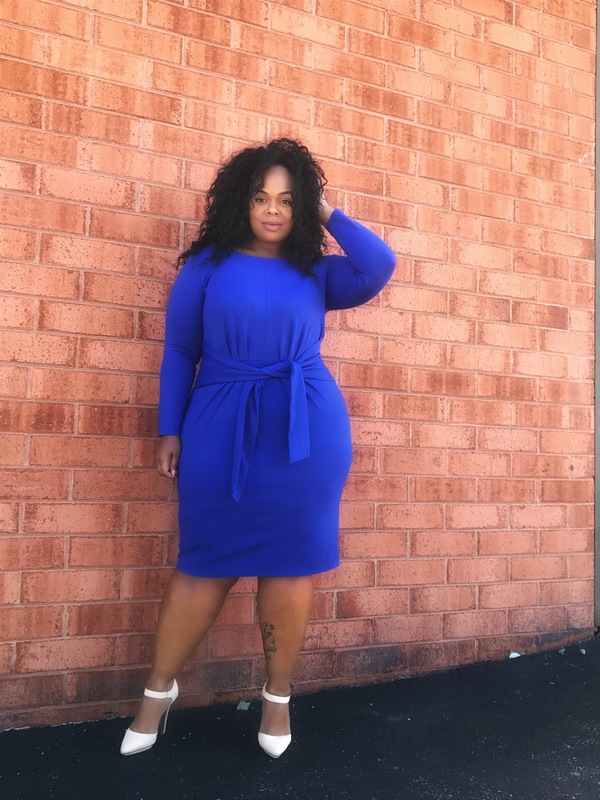 Also for all my readers who make a purchase for the first time on ThredUP be sure to use my code VANABLACK which gives you 50% off your purchase. Until next time thanks for stopping by and Owl see you later!